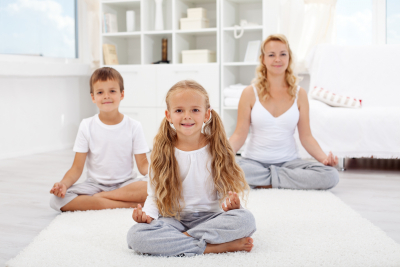 Kids Corner offers “Kidding Around Yoga” classes in 6 week increments throughout the school year. Classes are limited to 10 students per class. Each class day has two 40-minute sessions; kindergarten – 2nd grade and 3rd grade – 6th grade. Registration is necessary to attend yoga classes. Kidding Around Yoga encompasses the 5 branches of yoga in a clear engaging method. A typical class gets the children singing, skipping marching, jogging, shaking, laughing, hopping, limboing, and storytelling—all while practicing yoga to original Kidding Around Yoga music. Jennifer May is a certified “Kidding Around Yoga” instructor. Jennifer has been working with children in programs and classrooms for more than 15 years.